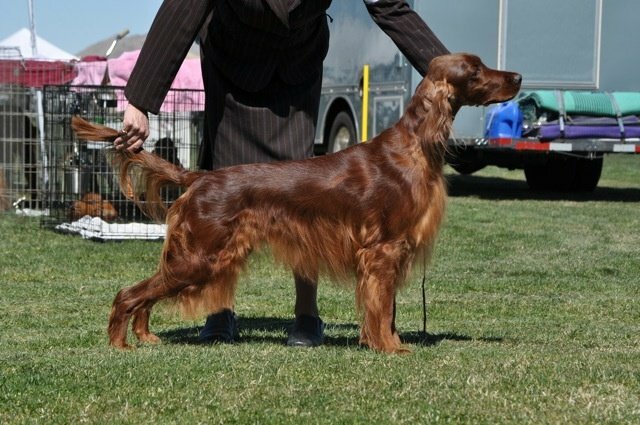 Kylee is everything I look for in an Irish Setter. She has perfect conformation, a joyful personality, and she’s an excellent bird dog. Unfortunately, an accident during her early puppy days left her with 1 ear which limited her show career. She has her Junior Hunter title and is pointed in the Field.